It's taken 43 years before the diocese of Fort Worth would see one of its priests ordained a bishop. And almost as if to make up for the wait, it happened at home today, as the native son Mike Olson formally took the reins of the still-growing 750,000-member North Texas juggernaut as its fourth bishop. At points both reverent and raucous, today's full-out jubilant scene – complete with Chandler-cameo – was a marked contrast from his predecessor's 2005 arrival. 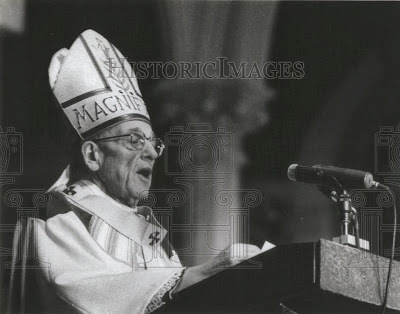 Named as coadjutor to an ailing Bishop Joseph Delaney, Vann – a pastor in his native Springfield, Illinois on his appointment – ended up becoming diocesan bishop immediately due to Delaney's death at 70 the day before the ordination, placing the event under a sudden cloud of shock and grief. It had been decades since an American bishop was made to take on a diocese that large without any episcopal experience, but thankfully, the man fit the mission: described by turns as both an "Energizer bunny" and "social butterfly," the new bishop's habit of running 800-mile weekend circuits around the 28 county, 24,000 square-mile turf (and his knack for calling, texting – or as seen above, tweeting – every corner of the place when he wasn't there) had the effect of creating remarkably strong senses of mission, momentum and cohesion alike. To be sure, happy as it is, growth has its challenges – while the number of seminarians have more than doubled over recent years, many of the diocese's pastors remain in the saddle well past retirement age to keep things moving, and building roughly a score of new, exponentially larger churches to meet the new demands requires no small amount of resources. Then again, it's no accident that Vann's first point-man is now his successor and can hit the ground running. More than usual, Olson has to do just that; the new bishop's first order of business is no less than naming his own vicar-general in the wake of Berg's move to Southern Colorado, a posting twice Fort Worth's land-size. Amid a stunning collision of demographic spikes that's seen Catholics become Texas' largest religious group, one final note. 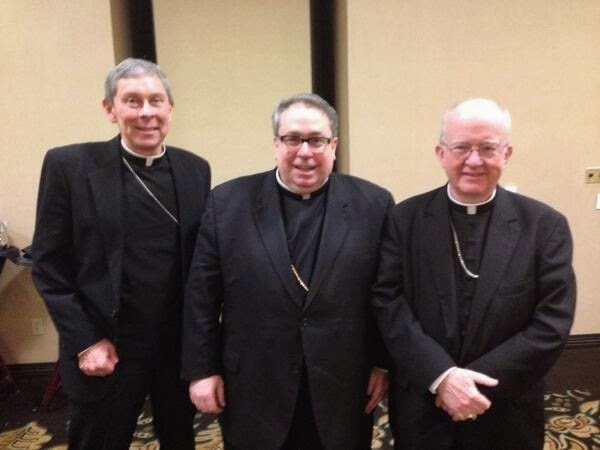 Given the twin "raid" on Fort Worth and now-Bishop Mike Sis' Monday arrival in San Angelo, within six weeks, the trio of figures who had been the Lone Star church's top prospects to move up have all now been given their nods. 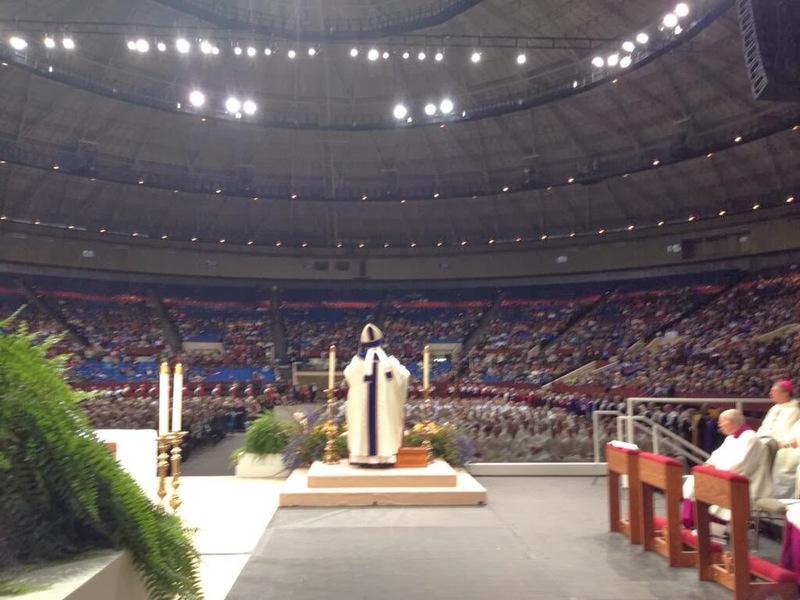 Looking across the wider scene, meanwhile, though the state's current diocesan docket is now filled, the occupants of two other sees – Victoria and Lubbock – reach the retirement age of 75 before late 2015 and a second auxiliary's still needed in Galveston-Houston, as is a replacement in Dallas for Bishop Mark Seitz, who was named to El Paso last May. The recent hat-trick brings the number of Texas priests named bishops since 2008 to 12. So, then, who's next? SVILUPPO: As today's principal consecrator – Archbishop Gustavo García-Siller of San Antonio – noted in a relaxed, lighthearted homily, despite Olson's family's move to Fort Worth in his teens and his priesthood there, his first roots were in Chicago.